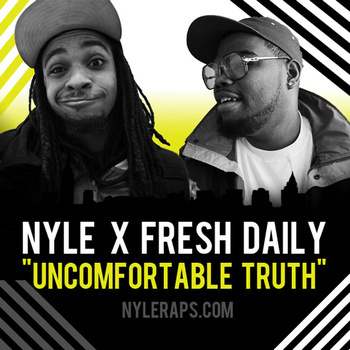 TMB-Music.com: Check It ... NYLE x Fresh Daily "Uncomfortable Truth"
Check It ... NYLE x Fresh Daily "Uncomfortable Truth"
If you're not familiar with Nneka, you're sadly missing out on some quality music from a very talented and powerful voice. After you check out this track where NYLE and Fresh Daily flip her Uncomfortable Truth track, you need to go and check her out. But, in the meantime hit play on this new jawn. It's fresh. Enjoy. Chea!